ETS has provided many of our clients with bag drawings that include material, dimensional, and fabrication specifications. The drawing package also includes specifications of minimal acceptance levels for fabric permeability, tensile strength, flex strength, and burst strength. In the case of a pulse jet bag, cage fabrication specifications and bag to cage fit details are included. 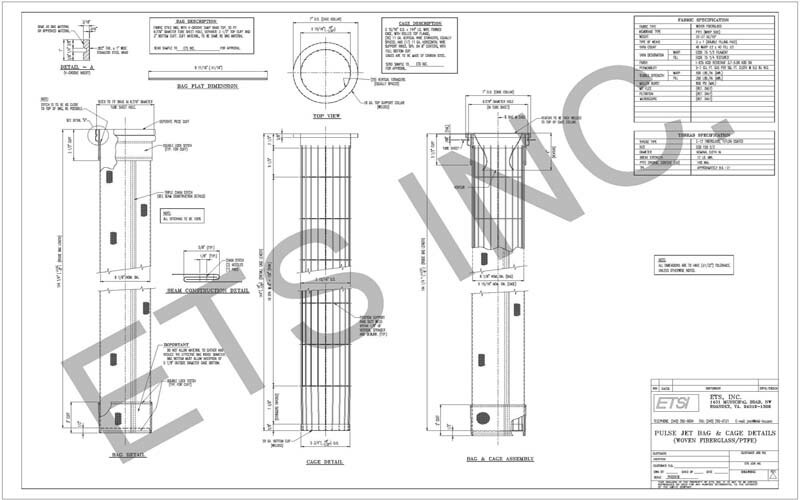 ETS has also provided clients with baghouse system designs and specifications. Amplification of these projects as well as information on additional design/specification projects are provided on the Consulting/Design Case Studies page.